Since we returned from Disneyland a few weeks ago, I have been spending a lot of time in front of the computer organizing and editing photos, working on a new digital kit, creating Disney layouts, and starting the templates for a Disney photo book. What I haven’t been doing is spending enough time outside enjoying the gorgeous spring weather. As I walked the kids to school the other day, I realized that the snowflake decorations were still hanging on our front door and, since the snow was melting, it was time for a change! As the snow melts, the house and yard look quite dirty and drab, so the new spring wreath had to be bright and cheerful against our black door. 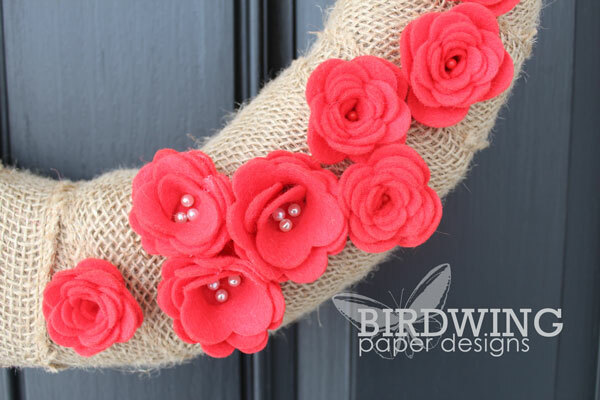 I love using flowers on wreaths and for this one I wanted a cluster of colourful, felt flowers. 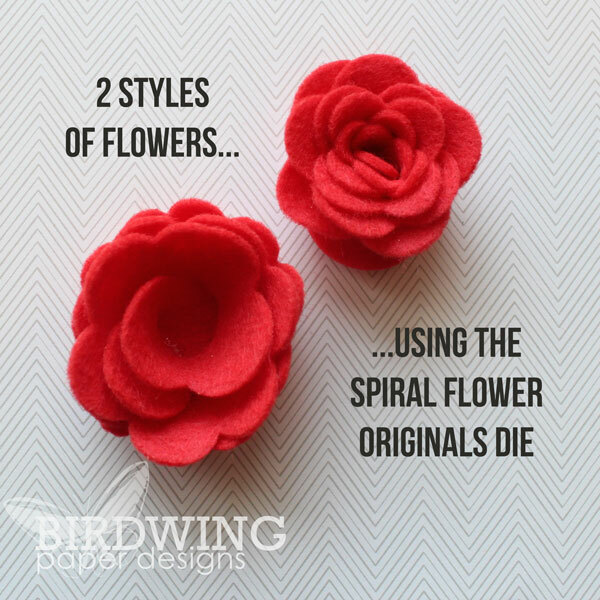 Normally I would cut the flowers by hand, but this year I was smarter – I bought a Spiral Flower Originals Die from Stampin’ Up to use in my Big Shot. I am so glad I bought it because it saved me so much time cutting out all those flowers! I discovered you can make tight flowers if you start rolling the flower from the skinny outer end. 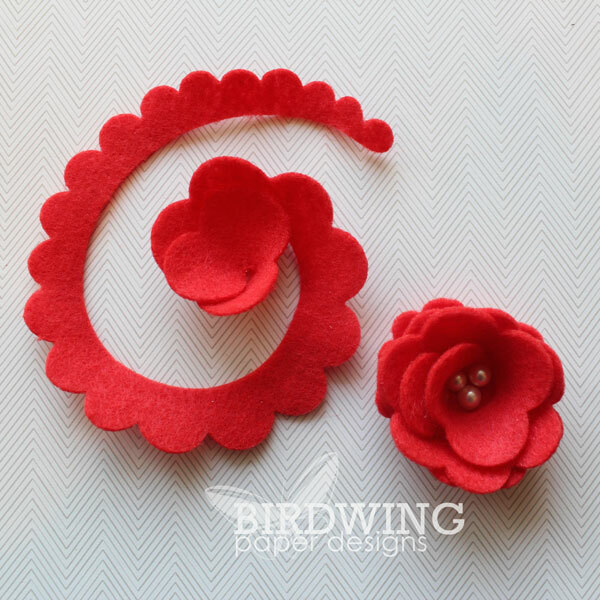 Or, by starting from the wide inner end, the flower is much looser and you can decorate the centre with a button or a few pearls. 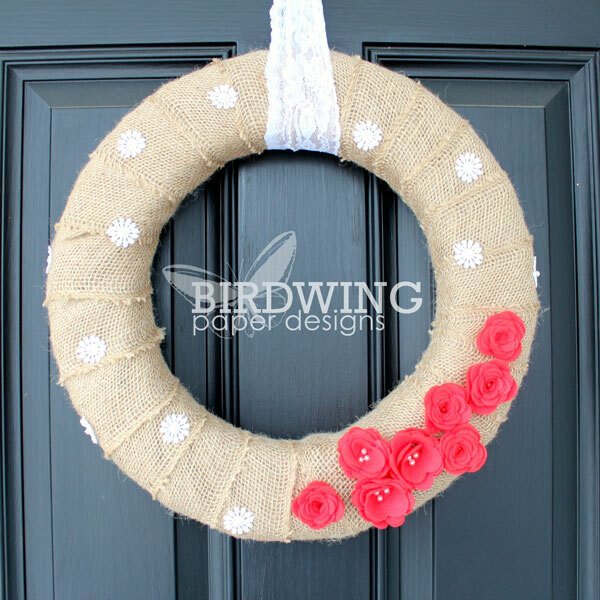 I attached the larger flowers to a burlap-covered styrofoam wreath using three corsage pins with pearls on the end. 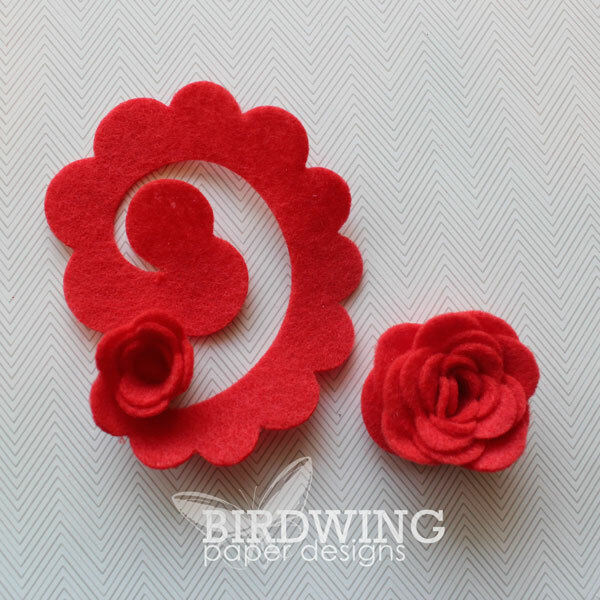 The smaller flowers were attached with a simple red sewing pin – that was all I had on hand after I ran out of corsage pins. A few years ago I started using pins, instead of hot glue, to attach all the decorations to my wreaths so that I could take them apart at the end of the season and reuse the wreath. That way I don’t have to keep buying new wreaths or finding a spot in the basement to store them! For a bit more decoration I added a sprinkling of white lace flowers and hung it from the front door using another scrap piece of lace. I love how bright and cheery it looks on our black door! 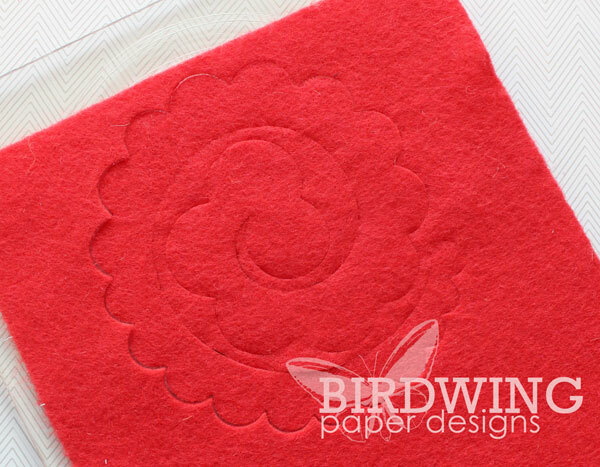 I am so glad I bought that spiral flower die. Maybe next spring I will attempt to cover the whole wreath in flowers!! I hope you are enjoying the first signs of spring in your neighbourhood!